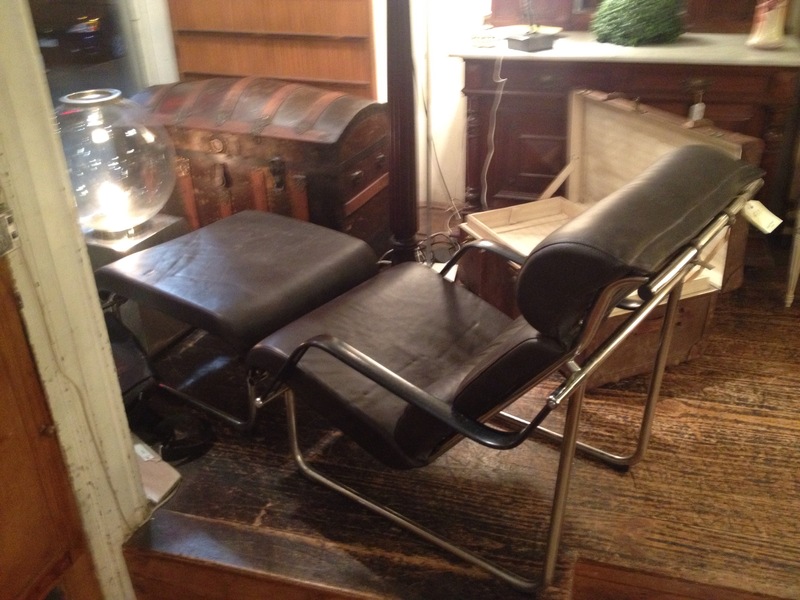 Chrome and leather chair and stool 1980 $380. Domed trunk 1880 $450. Later smaller wooden banded trunk, 1900 $120. Torchére base, previously illustrated.